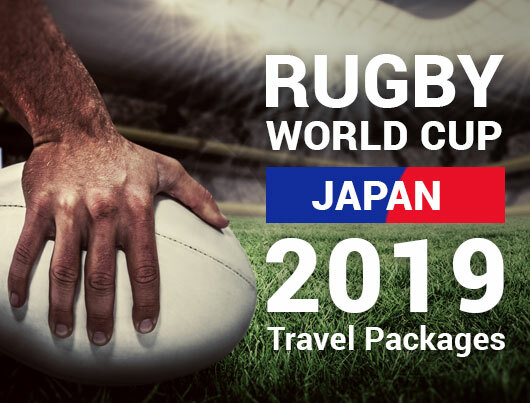 On this 17-day Rugby World Cup self-guided tour, you will have the opportunity to explore the best of Japan’s remarkable landscapes, immerse yourself in the unique culture and visit spectacular sightseeing spots between world-class rugby matches. You can thoroughly enjoy your holiday at your own pace, completely hassle-free, as we’ve got your accommodation, transportation and sightseeing activity recommendations covered! 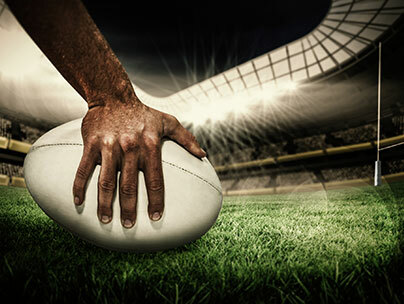 You’ll be staying at the heart of all the rugby action in Sapporo, Kobe, Kyoto and Tokyo, all of which are great base locations to take optional day-trips from. 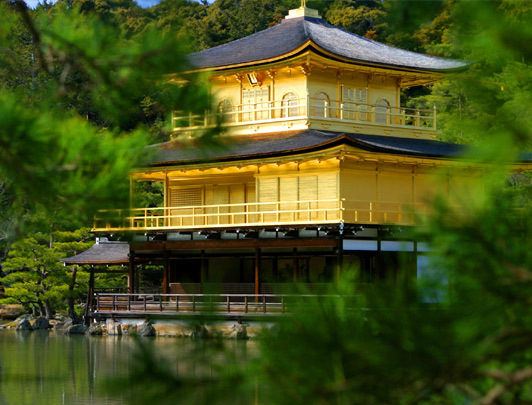 We’ve included helpful suggestions for all the best sights around each stadium as well as a fantastic group guided tour of the beautiful cities of Kyoto and Nara. 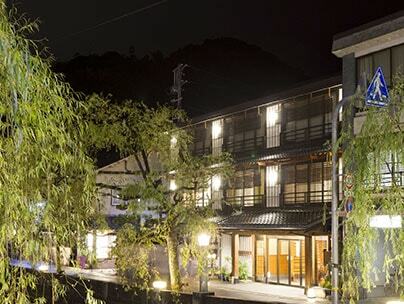 You’ll also get the unique experience of staying at a Ryokan with traditional Japanese kaiseki cuisine served for dinner in the peaceful, relaxing hot-spring town of Kinosakionsen. 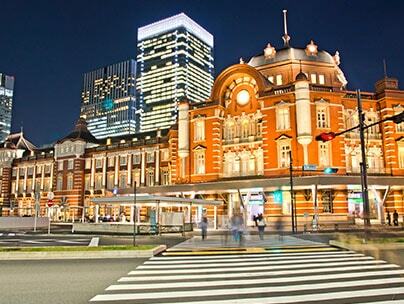 To help make travel between cities simple and stress-free, we’ve included the incredibly handy Japan Rail Pass in this package which is valid for travel on the iconic, world famous Shinkansen (Bullet trains) and you can even reserve seats with no extra charge. Our Japan travel experts have created this fabulous itinerary with the fans in mind to make sure your holiday is the trip of a lifetime! Depart from London Heathrow Airport to Sapporo! Welcome to Japan! 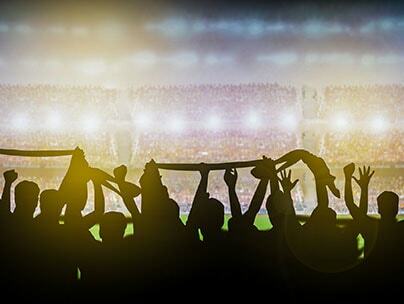 Your epic Rugby World Cup 2019 adventure begins today! 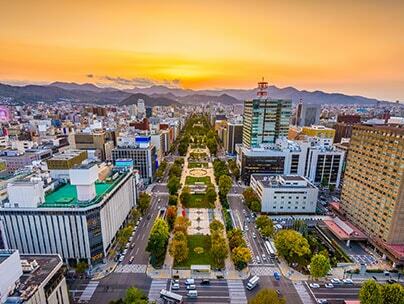 Touch down in Sapporo Chitose International Airport then make your own way to your hotel and have your first experience of the efficient, reliable and punctual Japanese public transport system. I hope you’re ready for the holiday of a lifetime! Once you're settled, to get into the rugby spirit at we recommend enjoying some refreshing Sapporo beers with fellow England supporters at Sapporo Aumn Fest! 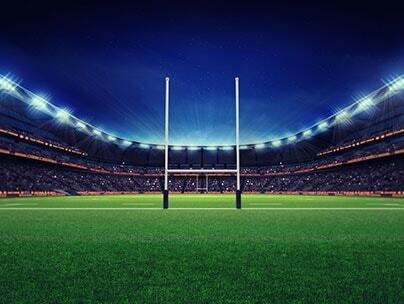 It’s match day – Rugby World Cup game England V Tonga! 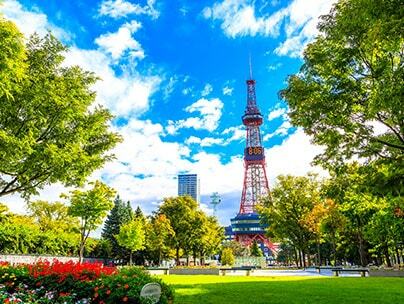 Free time to explore Sapporo. 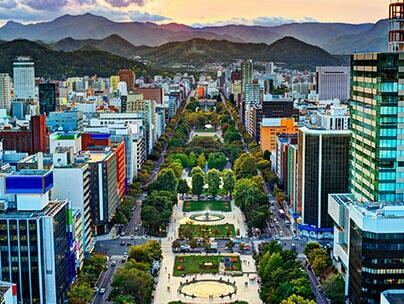 Sapporo is an amazing city with plenty of things to see, eat and do to keep you busy between matches! 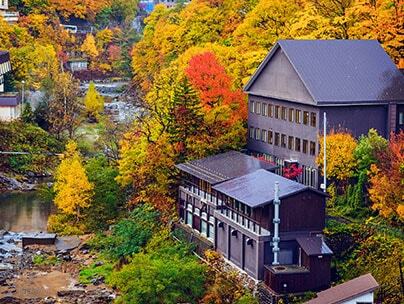 For example, you can take a trip to the picturesque Jozankei Onsen to see the beautiful scenery changes and this season is perfect for viewing the colours of autumn. 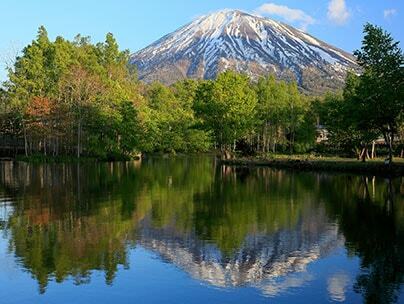 Popular spots include Shiraito Falls, Yunotaki and the Pool of Maizuru. 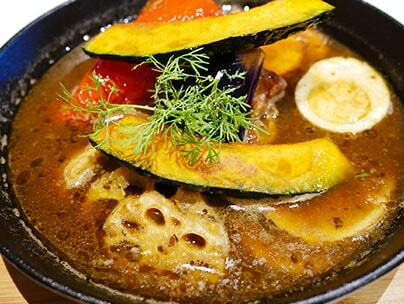 For lunch or dinner, why not try Sapporo's famous soup curry? Inspired by the curries of mainland Asia, this warming, aromatic dish originated in Sapporo in the ’70s, and is full flavour from locally sourced, nutritious vegetables and a powerful infusion of spices. 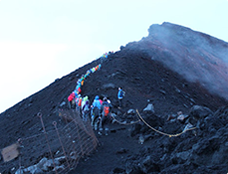 For a wonderful night view and a great day-hiking destination, we recommend Mount Moiwa, a forested mountain to the southwest of central Sapporo. 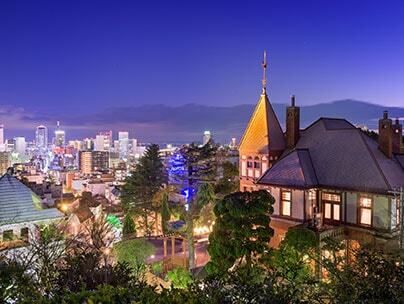 You can see breathtaking 360-degree panoramic views of the city from this spot. For those of you not-so keen on hiking, you'll be pleased to know you can get to Mount Moiwa by a ropeway cable car, too! 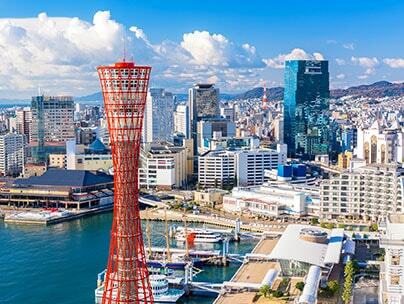 Take a domestic flight from Sapporo Chitose to Osaka Itami. 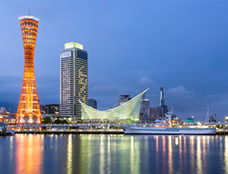 Tonight you'll be staying in the trendy metropolitan city of Kobe! 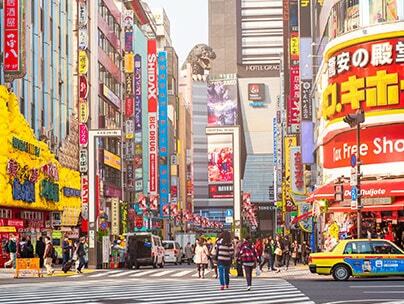 How about a day-trip to Osaka? 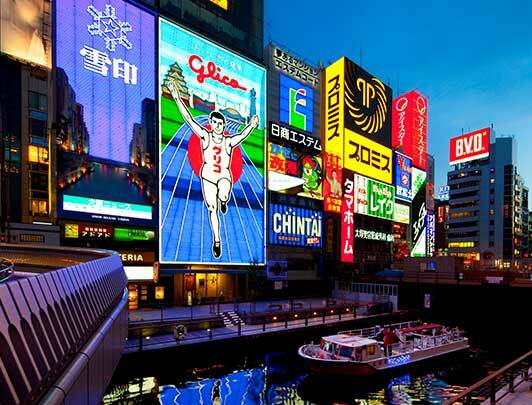 Today, you have the opportunity to visit Osaka, the wonderful food-paradise of Japan! There’s so much to see, do and eat in the glorious city. We recommend enjoying the panoramic views at the Floating Garden Observatory at the top of the Umeda Sky Building, which is also popular among international travellers for its unique architecture. You may also want to take a riverboat cruise for breath-taking views of the city. 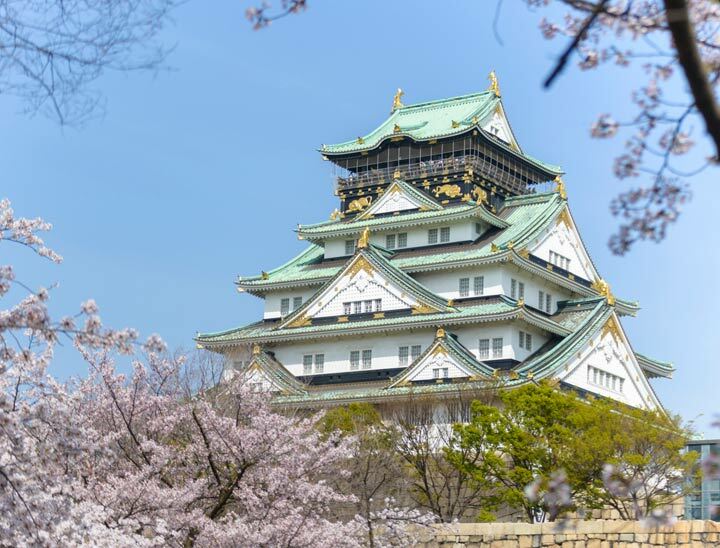 For those looking to see the more traditional side of the city, we recommend visiting the magnificent Osaka Castle. 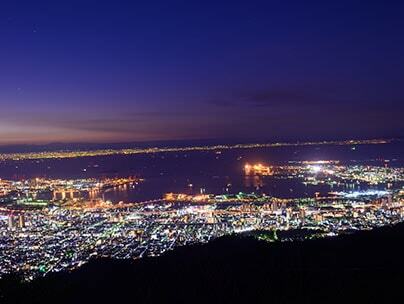 From Kobe, it takes around 2hrs and 20mins to get to Kinosakionsen Station by direct JR train. 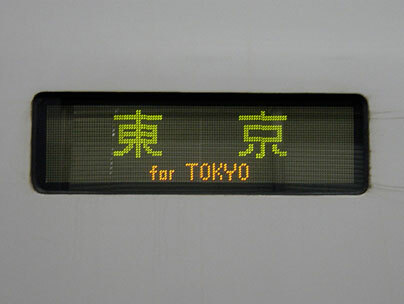 Conveniently, this journey will be covered by your JR Pass. 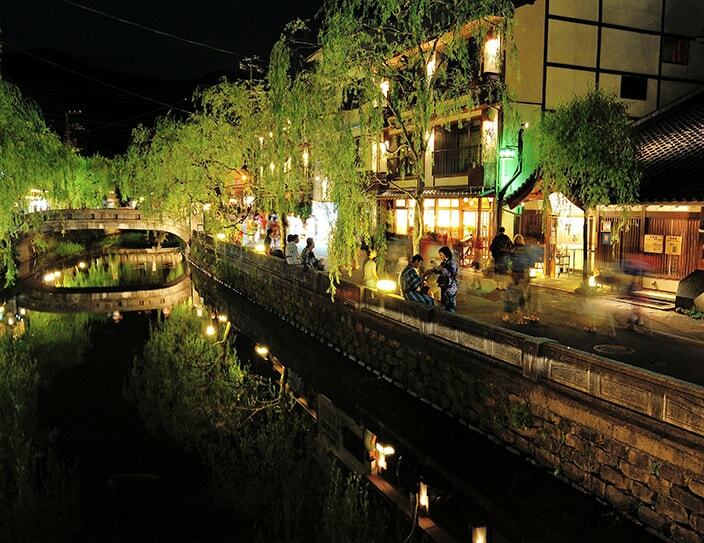 Kinosaki is an onsen town that welcomes its guests with the heart-warming hospitality of an old and great Japan. 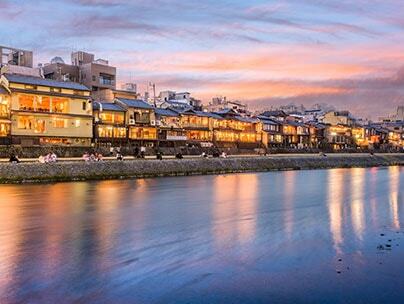 You can truly unwind in this tranquil onsen town at any of 7 public baths. 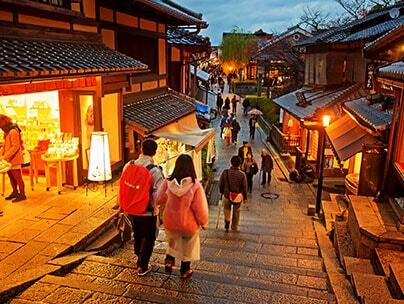 We recommend renting traditional Japanese yukata and take a leisurely stroll around town. In the evening, traditional Japanese kaiseki cuisine will be served at your accommodation. 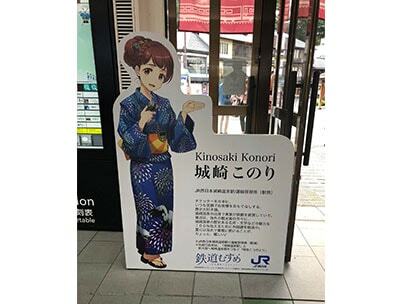 After checking out from your Ryokan accommodation in Kinosakionsen, travel to Kyoto by JR train. On arrival at Kyoto Station, we think you'll immediately be captivated by its magnificent, futuristic architecture. 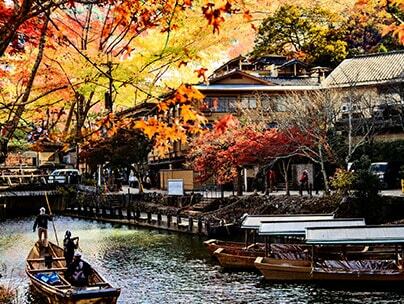 Kyoto is a fascinating city due to the juxtaposition of modern, urban life against the time-honoured traditions. 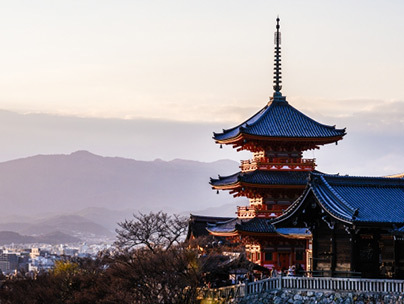 Kyoto is bursting with must-see sights and is currently home to more than 2,000 shrines and temples and also an impressive 17 UNESCO World Heritage Sites. 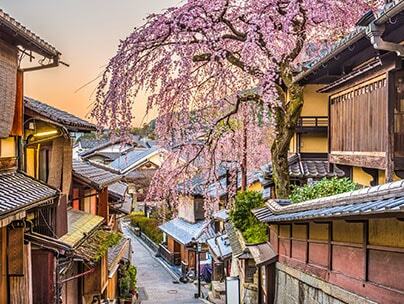 As well as the popular sights you may have heard of, we recommend taking a stroll along Kyoto's narrow streets that are packed with hidden beauties. 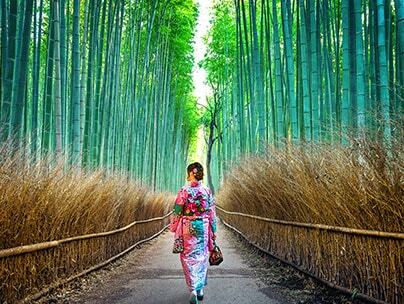 This way you can add some spontaneity to your trip and may even find little-known temples and exquisite gardens. 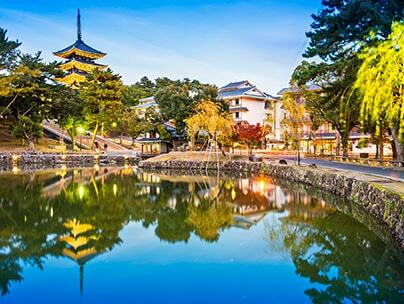 Today you’ll be participating in an exciting day tour of the beautiful historical cities of Kyoto and Nara. This tour is accompanied by a National Government Licensed English Guide Interpreter. 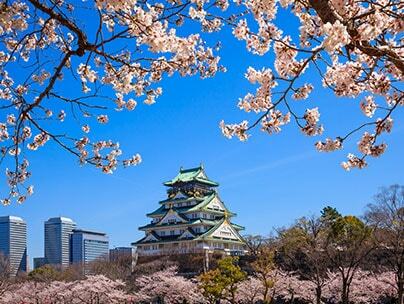 See the main sights of two of Japan's ancient capitals all in one day! 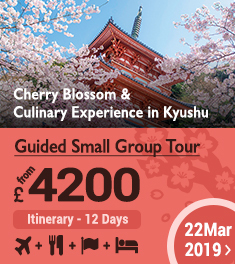 This tour takes you on a morning tour of world-famous Kyoto to experience one of Japan's most important historical and cultural centres. 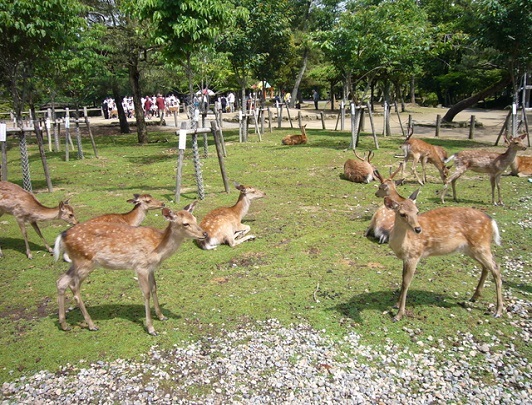 After lunch, visit nearby Nara, another historical capital and home to the towering Great Buddha of Todaiji Temple. 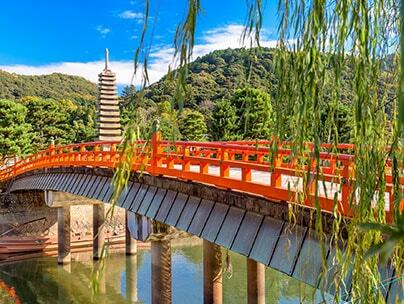 Free time for self-guided sightseeing in Kyoto. 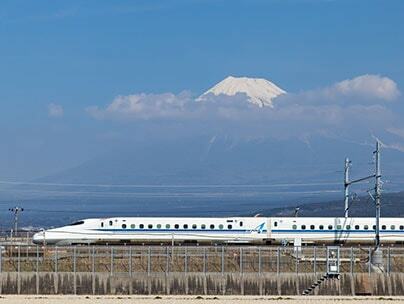 Travel to Tokyo by Japan Rail (JR) bullet train HIKARI - covered by your JR Pass. 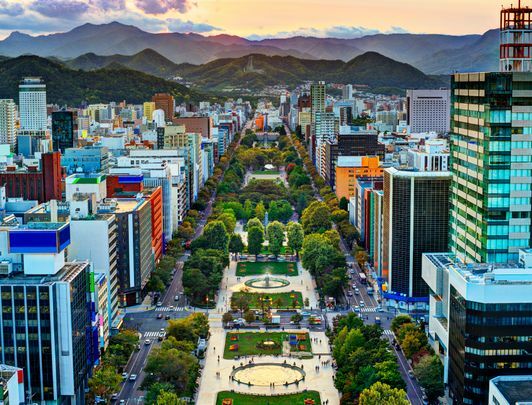 After arriving at the fascinating capital of Japan, you'll be spoilt for choice on things to do! 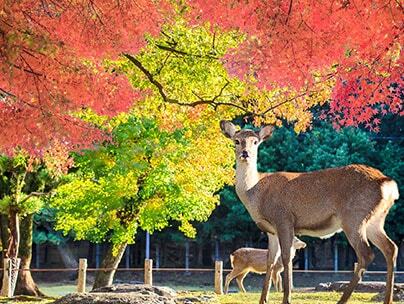 Tokyo truly has it all – from ancient temples to contemporary galleries and museums and even a variety of tranquil Japanese gardens. 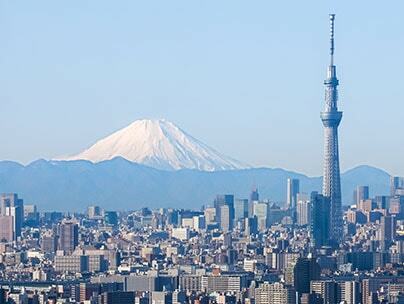 Tokyo is a city filled with Japanese history, but also modern, bustling shopping districts and soaring skyscrapers. In the evening, we suggest exploring the Roppongi area, an excellent choice for dining and drinking option as well as seeing some great views of the city. 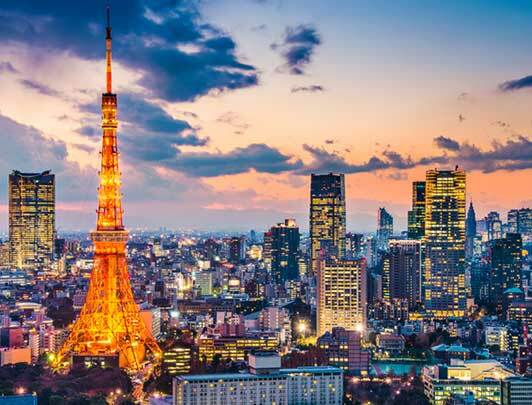 Tokyo is an exciting city made up of several unique districts, each with their own charms and attractions, so there really is something for everyone! 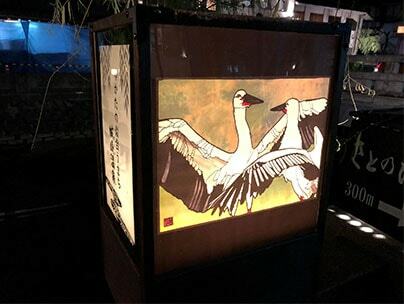 We recommend a visit to the Asakusa area, which is the ideal place get a feel for traditional downtown culture in Tokyo. 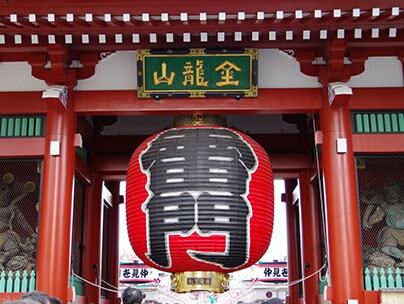 When visiting, be sure to see the popular photo spot, the big red lantern, Asakusa's symbol Kaminarimon. 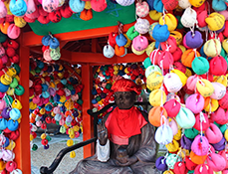 As a sign of respect, please bow in front of the gate, then you can enjoy plenty of souvenir shops and snacks in Nakamise before visiting Sensoji Temple. 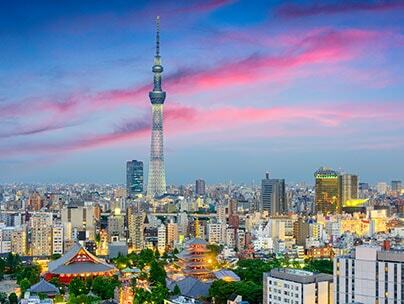 Next, head over to Tokyo Skytree, a modern icon of Tokyo's cityscape. 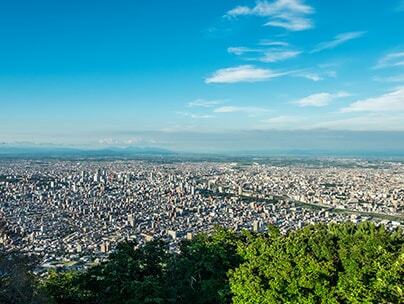 From the observatory, you can see beautiful views of Tokyo. Also, at the base of Tokyo Skyree is a commercial complex known as TOKYO Solamachi. Here, you can enjoy dining, shopping and even visit the aquarium there! 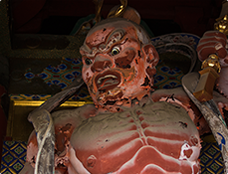 In the evening, why not check out Ryōgoku! 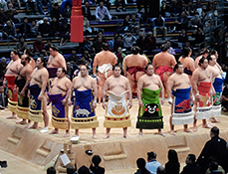 Those with an interest in Japanese national sports will surely be familiar with Sumo but did you also know that the Ryōgoku area is closely related to Sumo. The facility for the Grand Sumo Tournament, The Ryōgoku Kokugikan, is a sacred space for Sumo. 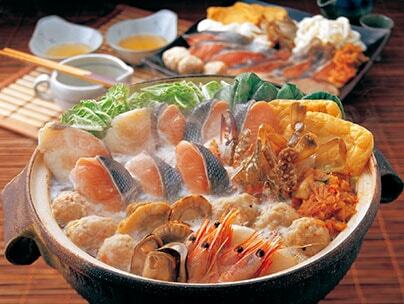 We suggest trying the famous Sumo wrestler power food dish called Chankonabe. Chankonabe is a hot pot dish packed with vegetables, seafood and chicken all boiled then simmered in a secret broth. 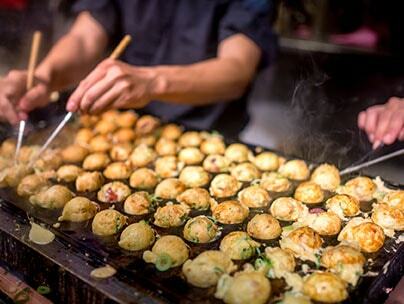 You can try Chakonabe for your self at one of the many restaurants in Ryōgoku. 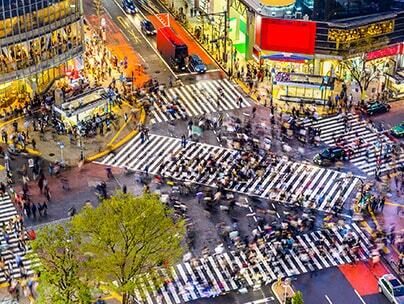 Tokyo is undoubtedly an extremely photographic city and one of the best spots is the famous Shibuya crossing, located directly outside Shibuya Station! As the world's largest intersection its no surprise that thousands of busy people cross at this iconic intersection every day. 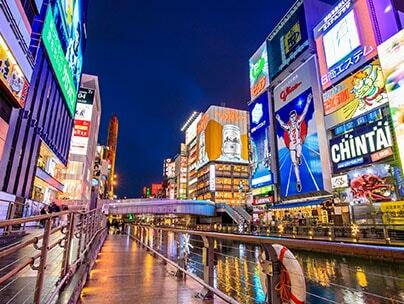 As well as the crossing scramble, Shibuya is also well known as a lively, youthful area boasting several fashionable stores, record shops, bars and restaurants. 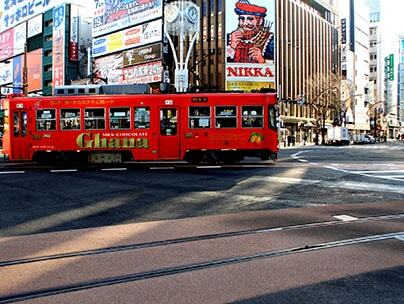 Next, check out the Omotesando area, a contrast to Shibuya. This area is known for its stylish cafes, luxury boutiques and also for the Omotesando Hills complex, designed by the famous Japanese architect, Tadao Ando. 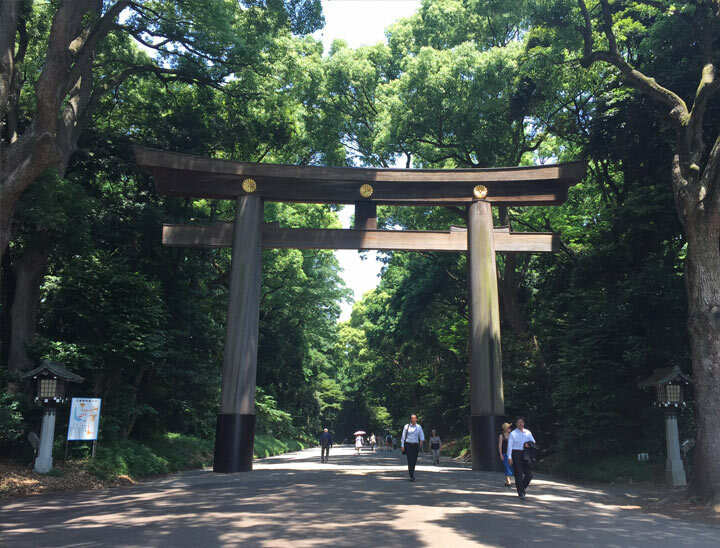 This route conveniently takes you to more exciting sightseeing locations including Harajuku, Yoyogi Park and Meiji Shrine. 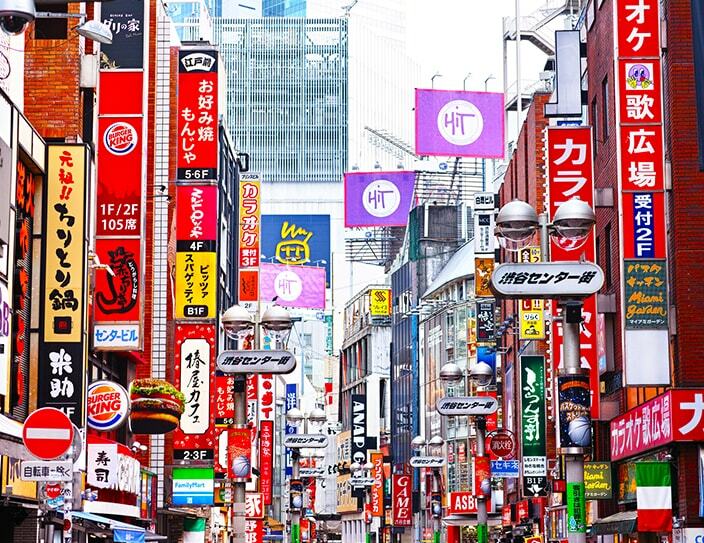 Tonight, you could head to the Shinjuku area, one of Tokyo's busiest downtown areas. Here, there are all kinds of dining, drinking and entertainment options from restaurants to pubs and bars. For a unique and authentic Japanese local experience why not try one of the several small, casual 3-5 seat restaurants in Shinjuku's Golden Gai. Today's the final day of what we hope has been a holiday of a lifetime, but it doesn't have to be goodbye...maybe just see you next time, Japan! 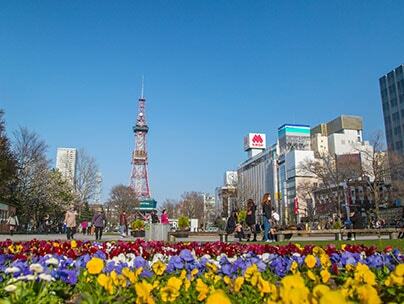 This tour ends in Tokyo and your flight home will be from either Haneda or Narita Airport.